Watch Your Way To Learning French–Part 26! Author AlbertPublished on 11 February 2019 13 April 2019 Leave a comment on Watch Your Way To Learning French–Part 26! Make an appointment with a doctor for an illness, in French, with this next video by Albert Learning. Brush up your listening skills with the below exercise, writing your answers in the comment section below. Exercise: Listen to the words and write down their correct English translations. Listen to the words on Soundcloud. 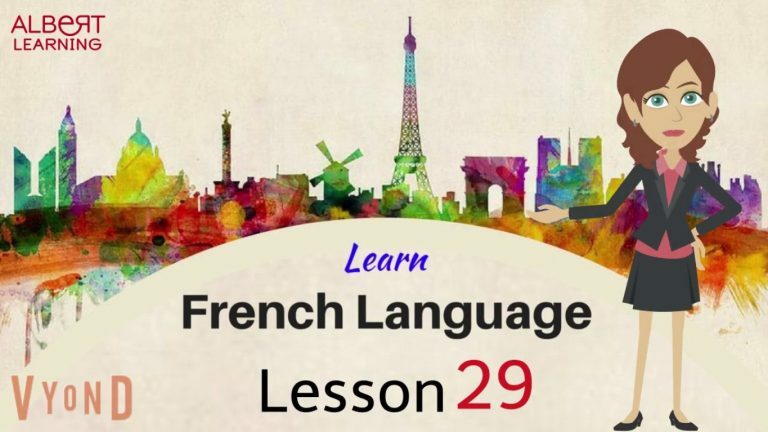 Published on 11 February 2019 13 April 2019 Categories Learn FrenchTags Albert learning, Basic French words, French conversation, French courses, French language, French lessons online, French vocabulary, Learn French onlineLeave a comment on Watch Your Way To Learning French–Part 26! Watch Your Way To Learning French–Part 25! Author AlbertPublished on 31 July 2018 13 April 2019 Leave a comment on Watch Your Way To Learning French–Part 25! In this next video, learn words and phrases to use while talking about a friend who has moved away. Practise what you have learnt with the below exercise, writing your answers in the comment section below. Exercise: Write the correct English translations of the following words. Published on 31 July 2018 13 April 2019 Categories Learn FrenchTags Albert learning, Basic French words, French conversation, French courses, French language, French lessons online, French vocabulary, Learn French onlineLeave a comment on Watch Your Way To Learning French–Part 25!